The New York Times published an eye-opening article in 2018 presenting the results of research conducted by Oxford University climate scientist Myles Allen, revealing dreadful, dire effects by 2040 if climate change is not stopped. Flooded coastlines, aggravated droughts, increasing poverty without drastic, immediate action, the most severe effects of climate change, once expected only several decades in the future, will sooner than later redefine the world as we know it. With The New York Times’ article as its creative DNA, the objective of this installation was to create a contemplative space for the audience to meditate on the pressing issue of climate change, leading to — I hope — awareness about our socio-political and environmental issues, thoughtful dialogue, and personal and corporate action. In this regard, as a creative director at the Phi Centre, I had the privilege to reach out to four artists from the province of Quebec to gather their visions of the future. 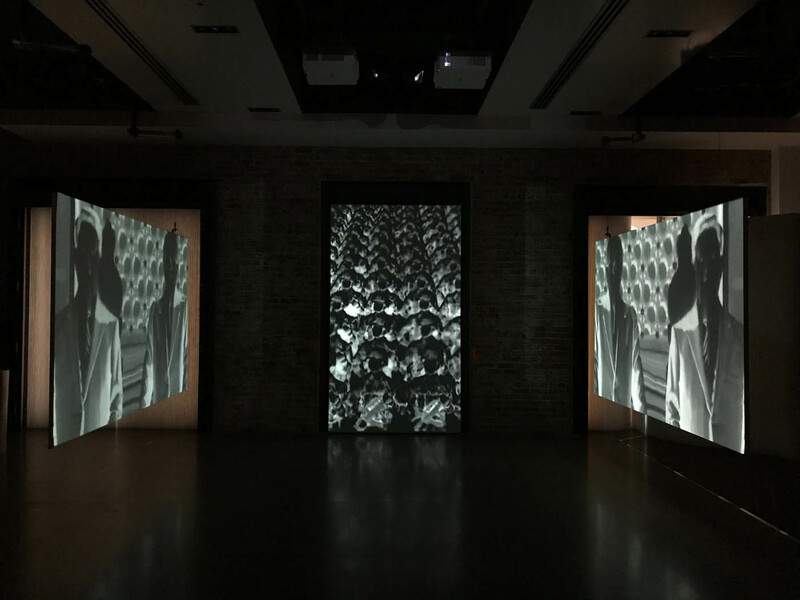 Conceived as a call to action, we curated the three-channel installation with an immersive vision; one in which the public is drenched visually and musically inside five scenarios, encapsulating a spectrum that ranges from the most optimistic visions of the future to the most dire, pessimistic ones. The result is an immersive tableau that bewilders the public in terms of time and space, since the observer is simultaneously confronted by the scenarios which our planet currently faces, and the ones which it will need to face in the future. During the curation process, I met with inspiring artists whose visions resonate with and fed my perspective on the subject. 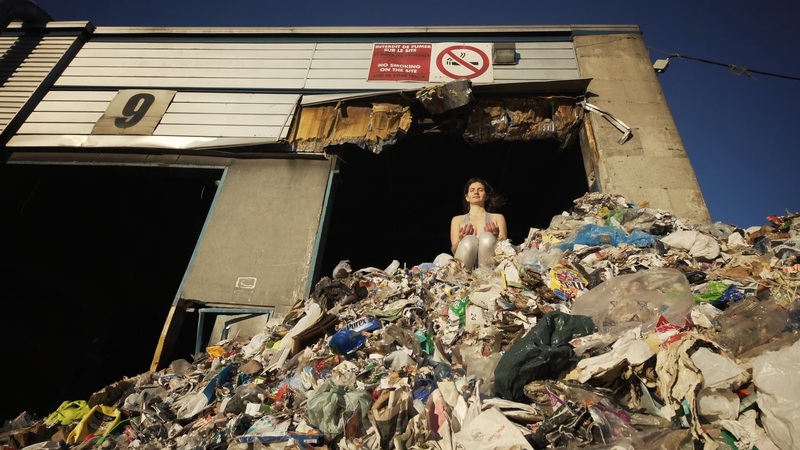 I was thrilled to work with Miri Chekhanovich, a young Montreal artist recognized for her installations combining video, performance and sculpture, as well as durational performance. A deep meditation enthusiast, she nourishes a strong point of view on the world, acquired through mindfulness and critical sense. With her powerful piece Living with the trouble of current — future waste, she invites people to reflect on the idea that we, humans, detach ourselves more and more from the material world, and that we do not hold ourselves responsible for what is happening to the environment. This separation between the notion of ego and the environment, as she calls it, is portrayed as being one of the causes of what experts call the “waste overload”. Created as a strong and disturbing, yet beautiful, visual manifesto towards human environmental responsibility, her piece invites the public to reflect on the meaning of our interactions with objects and how this behaviour contributes in generating waste. Focusing on our inaction towards waste management, what will the year 2040 look like if we continue consuming unrecyclable products? The question is raised. George Fok is a Hong Kongese video artist based in Montreal and Creative Director at the Phi Centre. 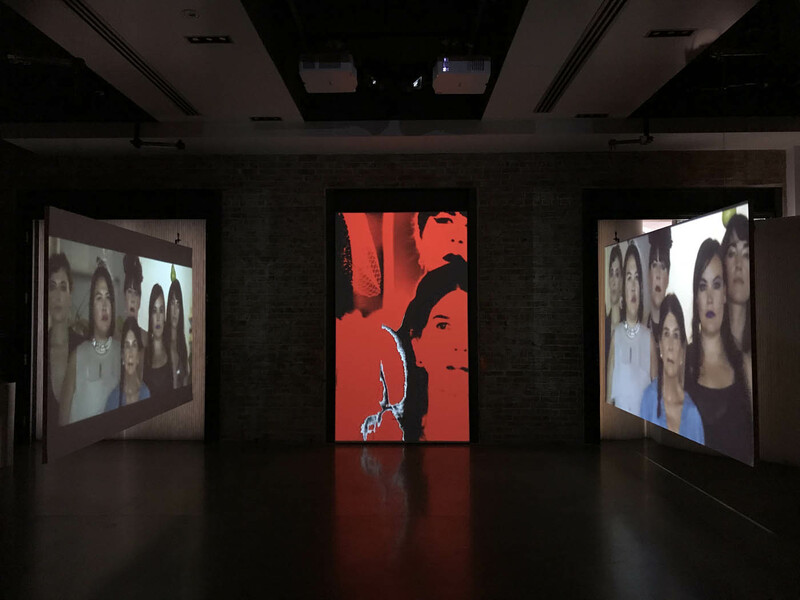 His œuvre, which mixes conceptual and commercial work exploring the intersection of visual art, music and fashion, has been shown in global art institutions.